Disclaimer: This is part of a sponsored collaboration with Latina Mom Bloggers and Old Spice. 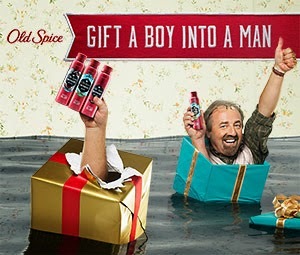 Old Spice, the manliest men’s grooming brand on the planet, is back to inform guys that the “Smellcome to Manhood” is on! A new ad campaign called ‘Dadsong’ premieres just in time for the holidays to humorously illustrate how moms and dads react differently when their sons start using Old Spice and officially enter manhood. This campaign was born out of a true insight with moms wanting their little boys to stay young forever and dads being proud and relieved when their sons grow up. This holiday season, giving the gift of manhood couldn't be easier with Old Spice Re-fresh Body Spray, featuring the brand's innovative and first-in-category Re-fresh Technology, which eliminates the need for guys to overspray or reapply throughout the day. With Old Spice Re-fresh Body Spray, “One Spray Lasts All Day.” The brand also has a variety of manly smelling products for every guy on your list. Older boys and teens can “Scent Responsibly” with this gift that keeps on giving, one spray at a time. And, just in time for the holidays Old Spice is offering a special deal on Coupons.com. 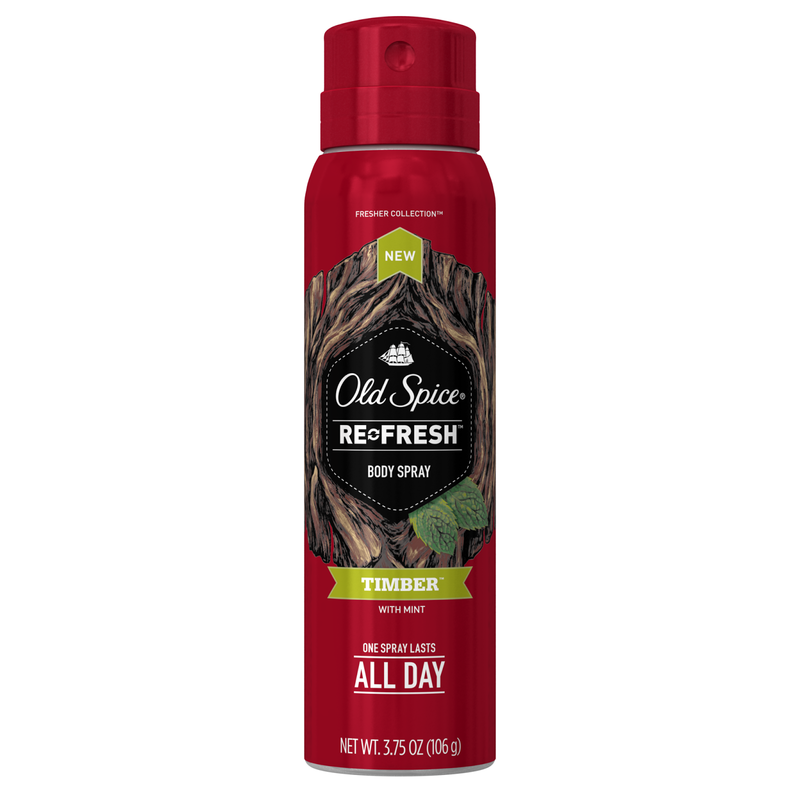 Old Spice will offer special savings on Old Spice Re-fresh Body Spray in the P&G brandSaver® available for download and redemption at retailers nationwide on Coupon.com. 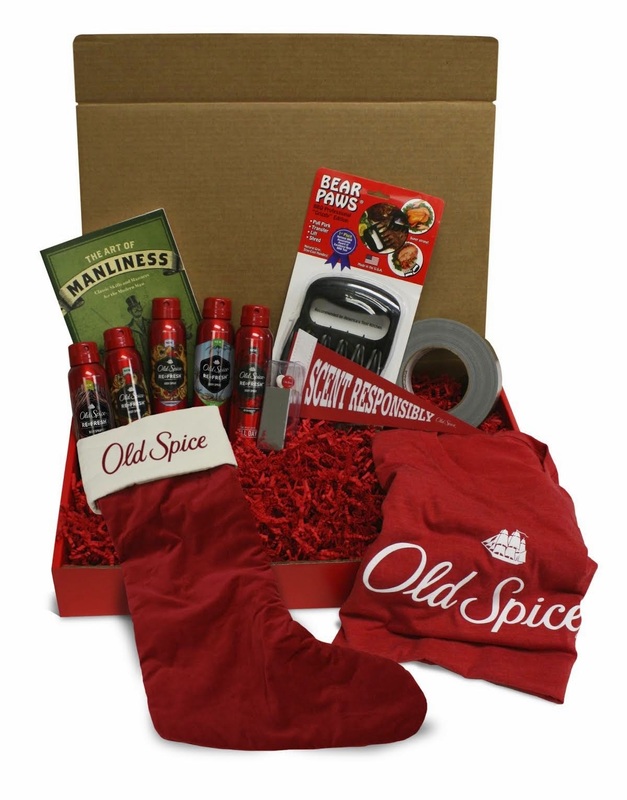 Old Spice also offers Holiday Gift Sets, with deodorant, body wash, body spray, shampoo and more! It’s available in a variety of scents – including new nature-inspired Timber scent. In a boy's journey to manhood, toys provide laughter, fun and exploration of the world. Building off the "Dadsong" ad creative, and bringing attention to the massive quantities of boxed up children's toys in garages and attics around the country, Old Spice will launch a holiday toy donation program with non-profit Second Chance Toys, an organization dedicated to keeping plastic toys out of landfills by donating them to children in need throughout local communities in the U.S. The Old Spice HoliSPRAY Toy Donation Exchange, which runs from Dec. 3 through Dec. 15, encourages moms and dads to donate their sons' gently used plastic toys in exchange for Old Spice Re-fresh Body Spray. For more information on the Old Spice HoliSPRAY Toy Donation Exchange, visit www.secondchancetoys.org/corporate-sponsorships/oldspice. For more information on Old Spice Re-fresh Body Spray, visit OldSpice.com. #SmellcomeToManhood I am giving this prize pack to my son! He loves Old Spice Products! #SmellcomeToManhood - I would give the gift box to both of my sons, They would have to share everything! I'd give the #SmellcomeToManhood prize pack to my hubby! I'd give this to my father! I would you give the #SmellcomeToManhood prize pack to my nephew!! #Smellcometomanhood my hubby for sure! I would give the #SmellcomeToManhood prize pack to my son. I would give the #SmellcomeToManhood prize pack to my nephew...he would love it. My friend Brandon would love to win the #SmellcomeToManhood pack. I could really benefit demo the #SmellcomeToManhood product line. I personally could sure use the #SmellcomeToManhood prize pack.